Today’s picture is a little bit different. 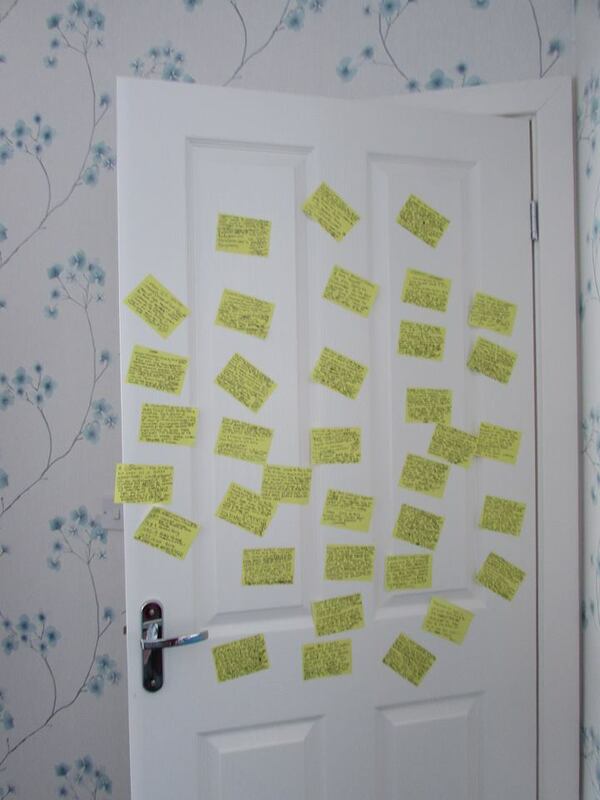 It’s a picture of my bedroom door back home during the revision period, with self-adhesive Post It notes taking up every inch of available space at reading height. Handwritten, no less. While I won’t be dwelling here on the difficulties of university exams, I thought it a good idea to share a little bit of what it’s like, the work invading into your personal space both mentally and physically — until you’re thinking more about memorising facts and figures than your own likes and dislikes. Which becomes a little odd once the exams are over and you’re free again, with time stretching out in front of you. I had plans for this summer that I sadly had to cancel as I’m still not at full health after the exhaustion of this year. On my first day of uni I felt like the experience was going to last forever, but that’s obviously never the case. Time seems to move faster than ever, hurtling forward, and I have dreams I’ve always wanted to try and fulfil. This summer seems like a good chance to work on those, as well as making sure I’m well. I’ve pulled down my postcards from the noticeboard in my university bedroom and have left just a calendar there — I have big plans for how to use that space in the next few weeks before leaving it for good. When I got back to Durham today I piled loads of my work into a H+M carrier bag ready to recycle when the bin’s empty, sent some folders on their way home and have been rewatching How to Get Away With Murder. It’s a beautiful thing to know that this academic year is done and I’ve absolutely done my best. I’ve been using a new writing assistant tool called Fighter’s Block! which is quite simply awesome. If you get the chance you should definitely check it out. You simply set a writing target and some other settings, and then fight the Egg Monster for the health points of your character. It’s late as I’ve been helping my Mum web-search for something, but here goes. Having the time and space to write means a lot to me. Over a thousand words written today and I have some social time ahead of me in the next few days, which makes a change from the loneliness of the exam period, but I may hopefully still have time to update on my progress. For the project that I have been INCREDIBLY excited to start over the last few months, I have the noticeboard space and now it’s just a matter of collecting some research materials and starting to plan. This one I’m planning properly, because I can feel a touch of magic to it. 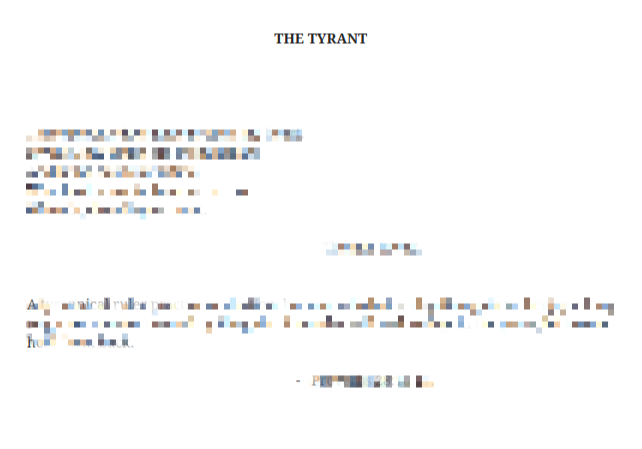 I even have epigraphs ready for when the three planned sections of the draft are completed, to intersect with them. Those were last edited on the 13th April, although I can remember thinking about the format of them a little earlier, while spending the Easter vacation in the library working on my independent project. Rather than actually share what they are, I’ll share the name of one of these sections. Those blocked out bits are obviously the quotes, but since they aren’t mine and sharing too much about a project in progress can take away the magic, I’ll leave it at that. And with that, I must say goodbye for now, as I really ought to get some sleep so I’m ready to meet friends for the first time in months without the glare of upcoming exams.